This Web site is provided by the Global Business Consulting Services, Inc. (“GBCS”), and may be used for informational purposes only. By using the site or downloading materials from the site, you agree to abide by the terms and conditions set forth in this notice. If you do not agree to abide by these terms and conditions, do not use the site or download materials from the site. GBCS may modify these terms and conditions from time-to-time as posted on this web site. Permission is granted to download materials (“Materials”) from this web site (“Site”) for your informational and personal (i.e., non-commercial) use only, and is limited to one copy. This authorization is not a transfer of title in the Materials and copies of the Materials and is subject to the following restrictions: 1) you must retain, on all copies of the Materials downloaded, all copyright and other proprietary notices contained in the Materials; 2) you may not modify the Materials in any way or reproduce or publicly display, perform, or distribute or otherwise use them for any public or commercial purpose; and 3) you must not transfer the Materials to any other person unless you give them notice of, and they agree to accept, the obligations arising under these terms and conditions of use. Any other reproduction or editing by any means, mechanical or electronic, without the express written permission of GBCS is strictly prohibited. You may not refer to the URL of this web site nor link to this web site without the prior written approval of GBCS. GBCS may monitor access to the web site. Despite GBCS ‘s efforts to provide accurate information, it is not possible to completely ensure that all information posted on this web site is constantly correct. The materials contained on the server could include technical inaccuracies or typographical errors. As such GBCS does not accept any responsibility or liability for any actions taken as a result of using the server. Further, GBCS assumes no responsibility for errors or omissions in the materials on the server. THIS WEB SITE AND ALL INFORMATION, MATERIAL, AND SOFTWARE CONTAINED HEREIN IS PROVIDED “AS IS” WITHOUT WARRANTY OF ANY KIND, EITHER EXPRESS OR IMPLIED, INCLUDING, BUT NOT LIMITED TO, THE IMPLIED WARRANTIES OF MERCHANTABILITY, FITNESS FOR A PARTICULAR PURPOSE, OR NON-INFRINGEMENT. GBCS further does not warrant the accuracy or completeness of information, text, graphics, links or other items contained within these materials. In no event shall Global Business Consulting Services, Inc. (“GBCS”) be liable for any special, indirect, incidental or consequential damages of any kind, or any damages whatsoever resulting from loss of use, data or profits, whether or not advised of the possibility of damage, based upon any theory of liability, arising out of or in connection with the use of the materials. The materials are subject to change without notice and do not represent a commitment of GBCS. You agree to defend, indemnify and hold harmless GBCS, its officers, directors, employees and agents from and against any and all claims, liabilities, damages, losses or expenses, including reasonable attorneys’ fees and costs, arising out of or in any way connected with your access to or use of our web site. This web site may contain hyperlinks to other web sites controlled by parties other than GBCS. GBCS is not responsible for and does not necessarily endorse the contents of these web sites. All products and services referenced are provided subject to any applicable tariffs and any accompanying terms and conditions. Trademarks and service marks are the property of their respective owners. Reference to a company, product, service or publication does not imply an approval or recommendation of that company, product, service or publication. 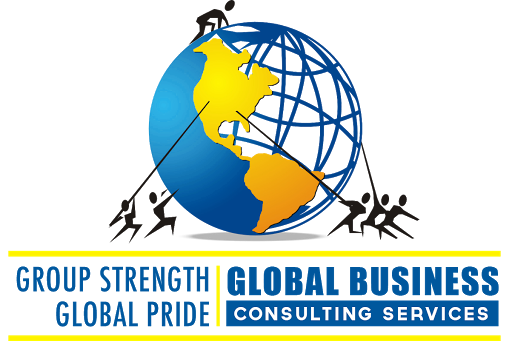 This site is controlled, operated and administered by Global Business Consulting Services, Inc. (“GBCS”) from its offices within the United States of America. GBCS makes no representation that materials at this site are appropriate or available for use outside of the United States and access to them from territories where their contents are illegal is prohibited. You may not use the Site or export the Materials in violation of U. S. export laws and regulations. If you access this Site from locations outside of the United States, you are responsible for compliance with all local laws. This Usage Agreement shall be governed by the laws of the State of New Jersey, without giving effect to its conflict of laws provisions. This Agreement constitutes the entire agreement between GBCS and you with respect to your use of the Site. Any cause of action you may have with respect to your use of the Site must be commenced within one (1) year after the claim or cause of action arises. If for any reason a court of competent jurisdiction finds any provision of the Agreement or portion thereof, to be unenforceable, that provision shall be enforced to the maximum extent permissible so as to effect the intent of the Agreement, and the remainder of this Agreement shall continue in full force and effect.